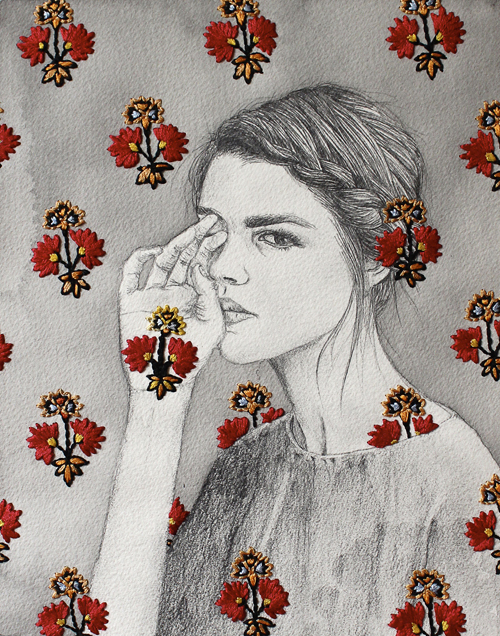 Izziyana Suhaimi is a young artist. Her work is utterly beautiful. 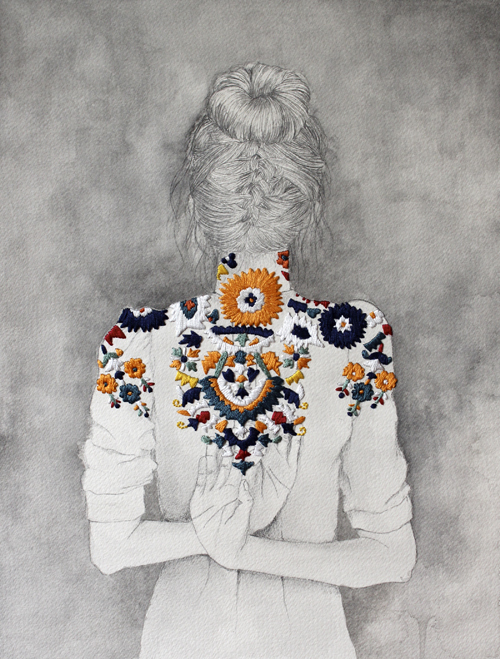 I fell in love with it at first sight the intricately embroidered patterns, the simple honest faces, finely drawn hair and dreamy water colours. 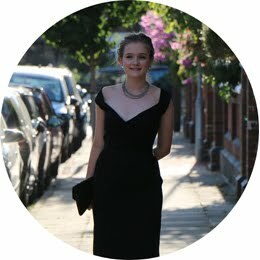 I found her on tumblr one day and she fit into my GCSE art project but i had questions for her and i have been wanting to do interviews for ages on the blog and I am so very happy she was the first person i interviewed! If you don’t mind answering how old are you and where are you from? I am turning 27 this year, and am from Singapore. 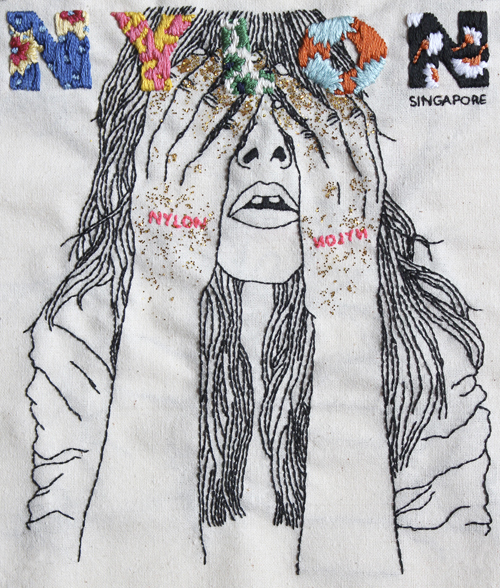 Who taught you to embroider and how old were you? 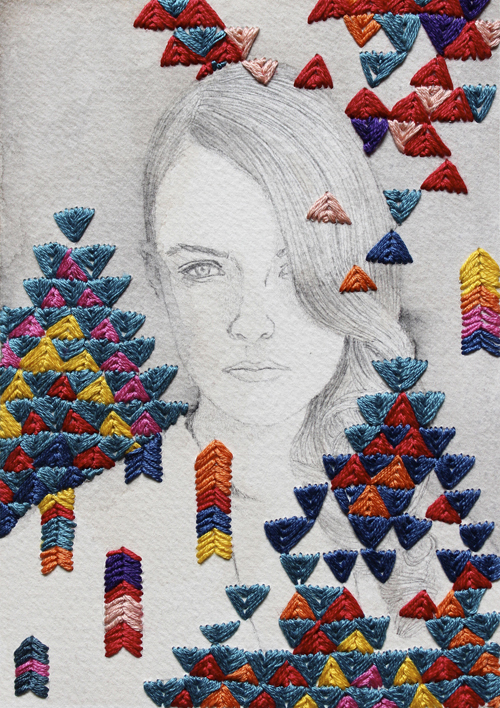 I actually started embroidering only a few years ago, although both my grandmothers were embroiderers. I learnt mostly through watching youtube tutorials and books. I am sort of a sporadic drawer. I started drawing since I was small. I go through phases when I would draw a lot, and then I would draw very little. Where did you study art (if you did)? I studied photography in university. For a really long time, I wanted to be a writer. If you could give a young artist advice what would it be? This is a hard one, because there is so many things to say but everyone has their own journey! Yeap, that's my advice, everyone has their own journey and their own truths. Be honest in your work and keep making even if you feel scared or doubtful. Keep making so that you can find your own voice, what no one else can do and say but you. Most days I try my very best to keep on working, because there are so many things I want to make. But sometimes it gets a bit hard to work, so I fill up my time with reading or learning something new, which will all eventually go back into the work itself in some way. I am having trouble drawing faces at the moment what helps you draw faces/tips? 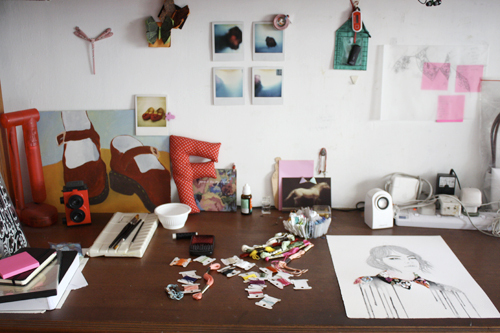 I love the simplicity and colours in her workspace its inspiring allowing thought but its not cluttered blocking out thoughts by clouding your brain. Thankyou Izziyana for being so kind and inspiring... to follow what she is up to this is her tumblr. I hope this will become a regular feature! 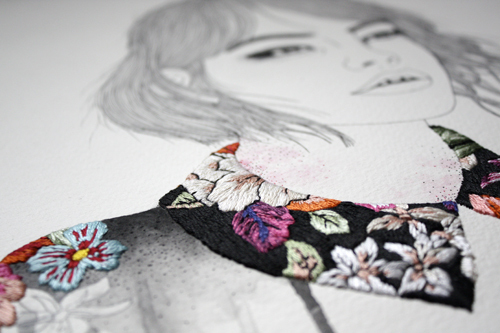 Oh I love her work - the combination of embroidery and drawing is perfect. Thanks for sharing this! I love her work!